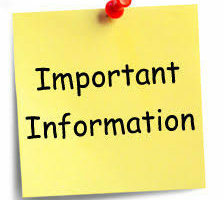 All safety checks have now been carried out and school will reopen as normal to all pupils. Many thanks! FUNDRAISING Meeting on 6th March at 7pm in School Library. All Parents/Carers are welcome. Please note due to lack of numbers the PTA fundraising event planned for Sunday 17th March has been cancelled.